Native to Southeast Asia, clove buds are plucked from trees and dried in the sun. 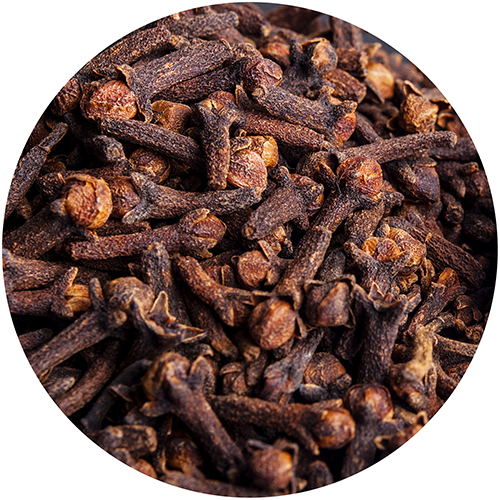 After discovering the characteristic numbing sensation that one upon chewing clove, it should come as no surprise that its extracts are commonly used in dentistry as an anesthetic. This is due to a compound called eugenol, which is also contained to varying degrees in nutmeg, bay leaf, and basil. Aside from producing a numbing sensation, eugenol and other compounds in clove also enhance immunity and regulate digestion and adrenal function.